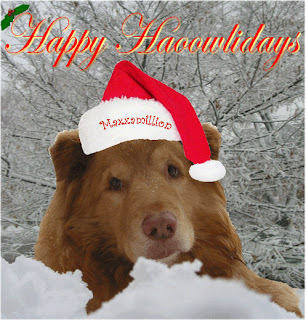 Happy Haooowlidays from Maxxamillion! Maxx has been a little sick for the past week. But I am happy to say he is doing much better today.